Shirley Bow Back with Ruffles Retro High Waisted Swim Bottom in Black/White and Red XS and S only!! These high-waisted wonders will set the world on fire!! Perfect for strutting along the shore or lounging pool-side this summer. 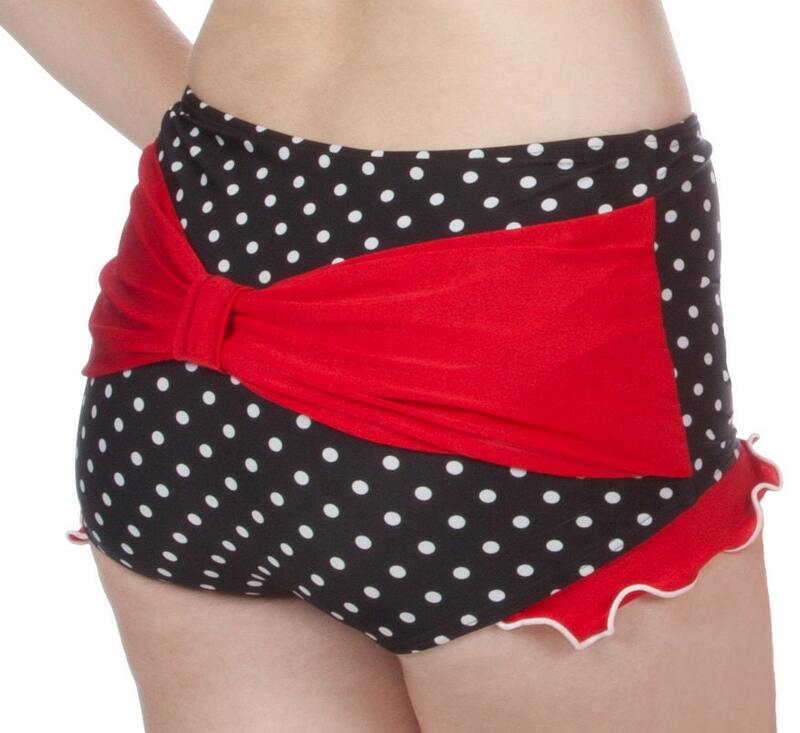 These sweet bottoms are black with white polka-dots, comes fully lined, and have a red contrasting ruffle with white rolled edge. The best part about this bottom is the adorable big red bow on the back as you skip away! !